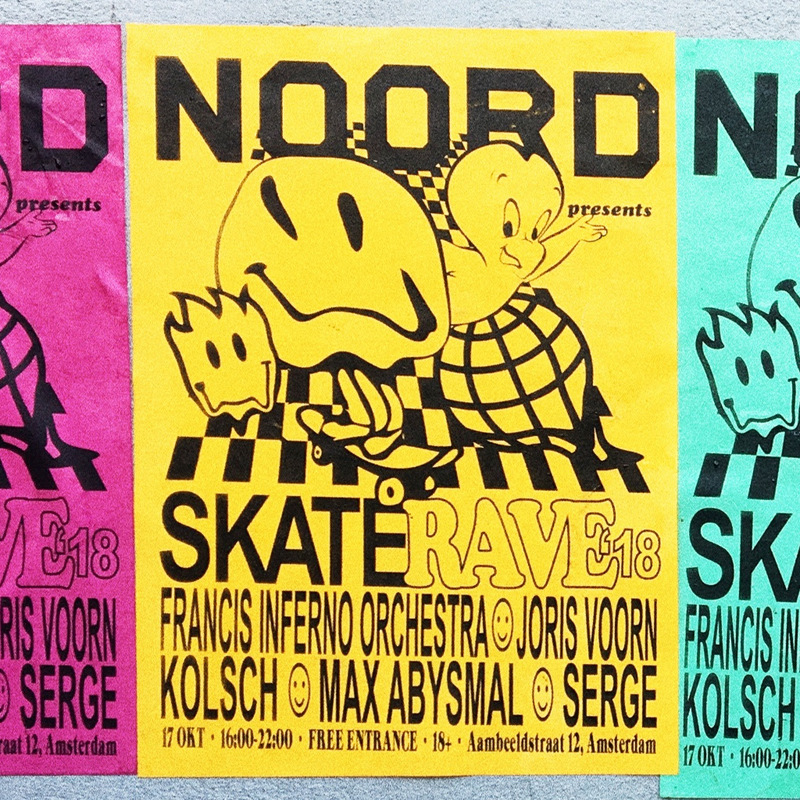 Joris Voorn’s love of hosting parties in unusual venues continues this October as he announces a collaboration with Serge from Clone Records and Skatepark NOORD, one of the Amsterdam skate community’s focal points. Taking place from 4pm-10pm on Wednesday 17 October, this special free event features DJs playing alongside Joris who share his love of skateboarding – either as skateboarders themselves or simply as passionate fans of the scene. This 18+ event will see over 700 people enjoy the sounds of Danish hero Kölsch, Australian hotshot Francis Inferno Orchestra, Dutch dance scene royalty Serge and Max Abysmal all play alongside Joris. Expect house, techno, disco and funk with a laid-back vibe, and the DJs playing from a podium above a dedicated dancefloor area while skaters making use of the skate facilities. Food and drinks will be available on the day. This indoor skate hall is located in the buzzing Amsterdam Noord area where dozens of clubs, bars, microbreweries and other cultural hotspots all enjoy the benefits of a less built-up and less densely populated location. Connected both by free ferries from Centraal Station and other stops in the south, it’s also now connected by the city’s brand-new North-South Metro line, meaning it’s easier to get there than ever, wherever you’re staying. Stay up to date by subscribing to the Facebook event here.